Kenya hasn’t made an entry for some years, so I went there to put that right! 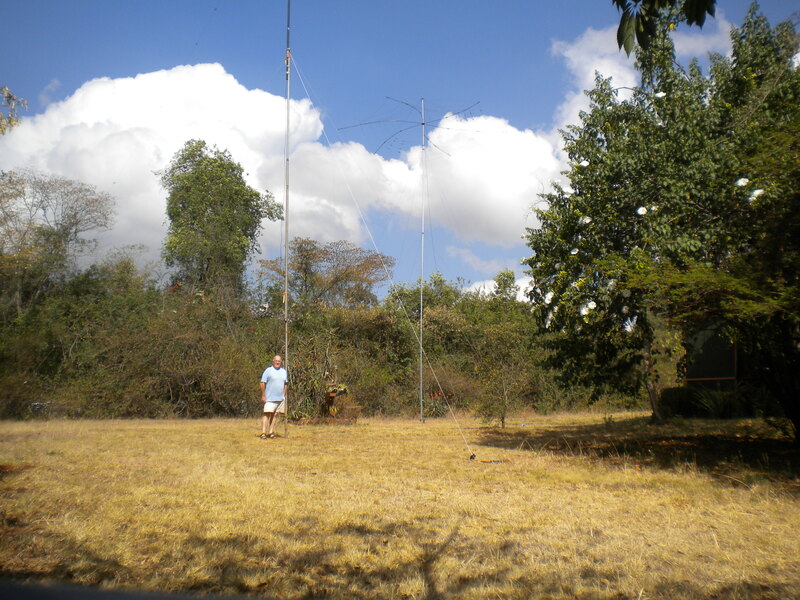 I also wanted to use my very old Kenya call sign again (first issued in 1968). My location was on the outskirts of Nairobi – near to the Karen Blixen House of “Out of Africa” fame – if you know the book and film. Not an ideal location as there is rising land to the North and East – however good enough. 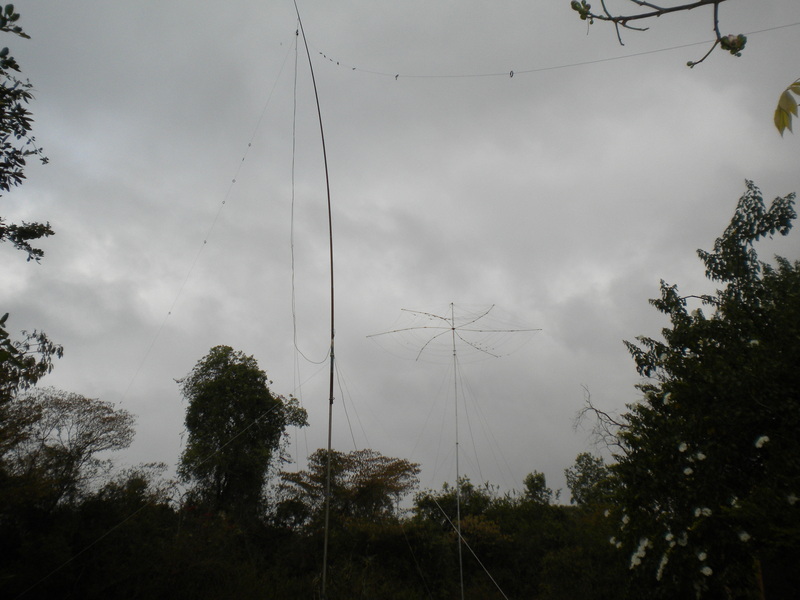 I decided to go for a high power entry this time so took a hexbeam (with its 40 foot mast!) and a linear to support my K3. Conditions on Saturday were OK – although the contest began with a rather gentle start. Band noise was quite high – especially on 15m. It had been dry and hot in Nairobi for many weeks and the electricity supply may have been responsible. On the low bands I was delighted there was little static (the curse of equatorial regions). All was goin g quite well until I went out into the night at 0100 to put in the link for 80m on the inverted vee dipole. I foolishly bent over the top section of the mast (a fishing pole) to perform this deed and the whole section broke off – thus no 80m and indeed no more 40m. Bit of a disaster really. I was up before dawn to get the antenna back up and did manage a couple of VEs before the band faded out. Sunday activity was really very poor. I went up and down the bands calling and searching but gathered very few more points. 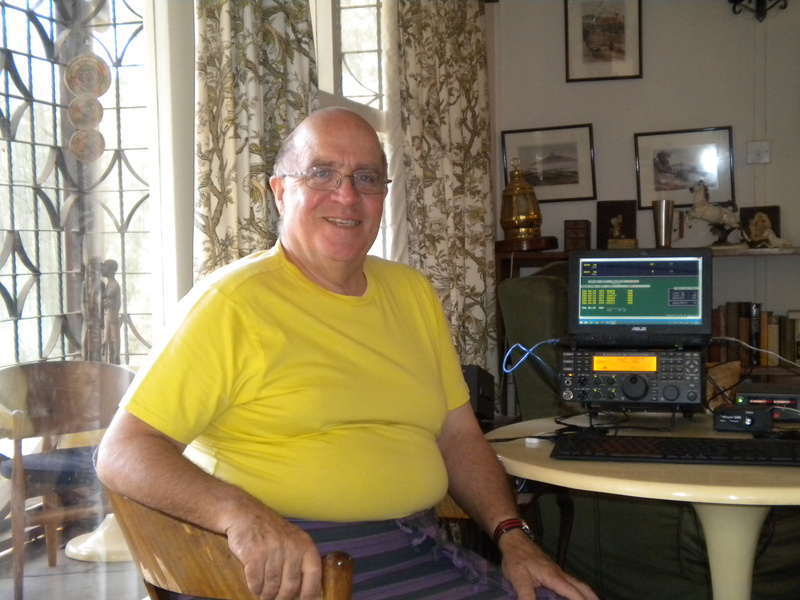 Last year from Rwanda I worked over 300 QSOs on the Sunday morning. Overall I worked just over 600 QDSOs including a few dupes. That was slightly down on 2014 but then I was barefoot and with a wire antenna. An enjoyable contest but activity from Africa seemed to be down – a trend over recent years.